Our guide to Chicago will help you find the best vegetarian restaurants in Chicago Illinois. Cutting-edge architecture, legendary blues, and scrumptious dining? Check. Lavish shopping, world-class museums, and lake views? Check. Glorious parks, major-league baseball, and side-splitting improv? Check. Deep-dish pizza, piled-high hot dogs, and Italian beef sandwiches? There are tons of great vegetarian restaurants in the city of Chicago, our city guide will help you find the best vegetarian restaurants. You may have a hard time deciding what to do in Chicago, but we make your decision easy. 1300 N Milwaukee Ave, (773) 772-2483 - Veggie Bite is a vegetarian restaurant located in Chicago IL. 1460 W Chicago Ave, (312) 243-7100 - Green Zebra is a vegetarian restaurant located in Chicago IL. 17 E Ohio St, (312) 527-4400 - Yu Shan Restaurant is a vegetarian restaurant located in Chicago IL. 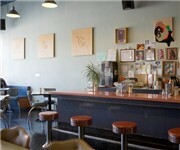 1742 W Division St, (773) 342-1742 - Mana Food Bar is a vegetarian restaurant located in Chicago IL. 205 E 75th St, (773) 224-0104 - Soul Vegetarian East is a vegetarian restaurant located in Chicago IL. 2172 S Archer Ave, (312) 326-5040 - Lao Sze Chuan is a vegetarian restaurant located in Chicago IL. 230 S Wabash Ave, (312) 922-0077 - Kramer's Health Foods Cafe is a vegetarian restaurant located in Chicago IL. 2468 N Clark St, (773) 525-2244 - Lettuce Mix is a vegetarian restaurant located in Chicago IL. 2508 W Devon Ave, (773) 274-5800 - Arya Bhavan is a vegetarian restaurant located in Chicago IL. 2543 W Devon Ave, (773) 338-2152 - Udupi Palace is a vegetarian restaurant located in Chicago IL. 2548 W Devon Ave, (773) 338-8160 - Mysore Woodlands is a vegetarian restaurant located in Chicago IL. 2608 W Devon Ave, (773) 764-1858 - Raja Vegetarian Fast Foods is a vegetarian restaurant located in Chicago IL. 2629 W Devon Ave, (773) 262-5280 - Uru-Swati is a vegetarian restaurant located in Chicago IL. 2646 W Devon Ave, (773) 338-8100 - Kamdar Plaza is a vegetarian restaurant located in Chicago IL. 2658 W Devon Ave, (773) 973-3400 - Jai Hind is a vegetarian restaurant located in Chicago IL. 2207 W Montrose Ave, (773) 463-7397 - Drew's Eatery is a vegetarian located in Chicago IL. There are plenty more vegetarian restaurants in Chicago. See all vegetarian restaurants in Chicago Illinois.